EVERtouch control panel, simply unique! The new EVERtouch electronics is equipped with many new functions that make LoStagionatore more efficient and user-friendly. With a simple touch, you will be able to access all working parameters, diagrams, settings and recipes! New EVERtouch electronic control board. Developed and designed entirely by Everlasting, it has its debut in style with new user-oriented functions and controls. This is not the only innovation making LoStagionatore highly-performing: the EVERtouch electronics will help setting up the seasoning phases easily and quickly, improving the seasoning of your products and making your work more efficient. Ask LoStagionatore to work in your place! The new EVERtouch electronic board manages the whole seasoning cycle autonomously, so you can be sure that your products will be ready within the preset times. Moreover, accurate control and monitoring systems allow visualizing at any time the data of the running process. With LoStagionatore we can season practically everything. The EVERtouch electronics has a huge amount of seasoning instruments: humidity control, ambient temperature, product temperature, Ph, refrigerating system, warming system and air speed. Your Stagionatore is not only powerful, it is also fully equipped! Seasoning has never been so easy. LoStagionatore has a huge amount of standard accessories, a library of preset recipes and also a “Cave” program to use LoStagionatore as a normal refrigerator when not used for seasoning. It only takes a few seconds to start a seasoning cycle. With LoStagionatore you will have all you need to create and enjoy excellent products. Touch-screen interface for more user-friendly controls. In the middle of the screen you will find the diagram of the running program indicating its progress (already carried-out phases, running phases and phases to be carried out), all the set values and the remaining times. 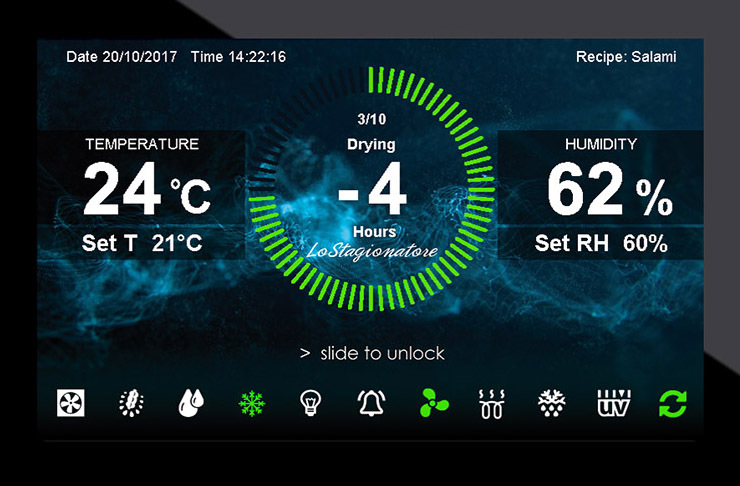 By clicking on the dedicated key on the Unlocked Home Screen you can access the “Shortcut” menu, where you will be able to manage DEFROSTING, AIR EXCHANGE, COLD CUTS WHIRLIGIG ROTATION (optional), ALARMS, PROBES and STERILIZATION. Status: there are three possible alarm statuses, each with a corresponding colour. 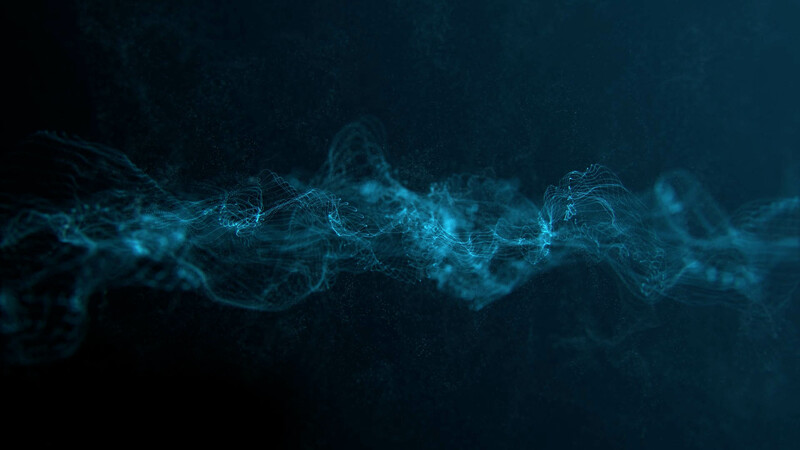 It is possible to export/import Service Parameters, Recipes, Data detected by probes, recorded alarm list on/from a USB device, and to import Service Parameters, Recipes, new languages.